Atlanta: As Tom Brady and the New England Patriots rewrote the record book with a 13-3 Super Bowl triumph over the Los Angeles Rams Sunday, Rams cheerleaders Quinton Peron and Napoleon Jinnies made some NFL history of their own. 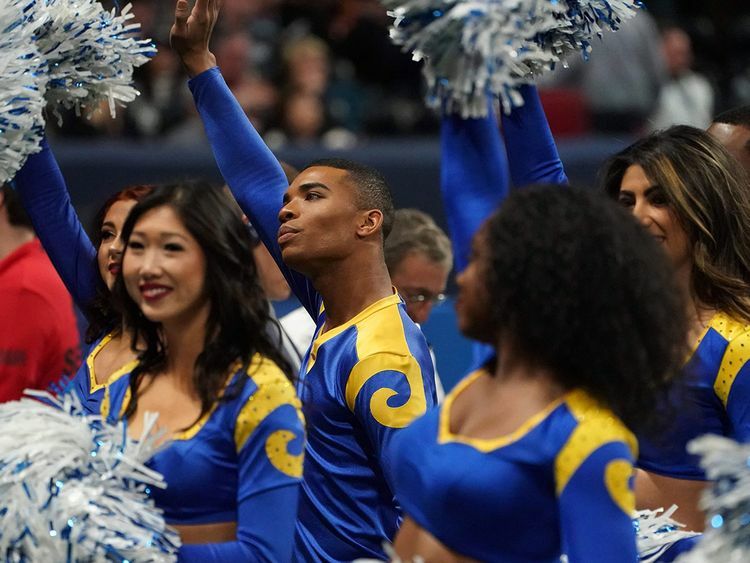 Jinnies and Peron are part of a 40-member Rams cheerleader squad - the first male dance-style cheerleaders in the history of the league and now, the first to perform at a Super Bowl. While they've endured some hostility from some fans who believe NFL cheerleading should remain the preserve of women, Peron told the Los Angeles Times that the support of their families, a majority of fans and their fellow cheerleaders had carried them through. "Whatever has been out there we've been able to take it, because we know who has our backs," Peron, 26, told the newspaper. "Our family has our backs, our girls have our backs and the city of L.A., they've got us." The Rams didn't go into the season seeking to add men to the cheer squad. Peron, a professional dancer and choreographer got the idea to try out when he was watching a Los Angeles Lakers Basketball Game, where the Laker Girls cheerleaders entertain during pauses in the games. "I'm looking down at the Laker Girls and I thought, 'Why can't I do this?'" he said. Jinnies, a professional dancer and makeup artist, had a similar thought, when talking to fellow dancers. "We were just casually talking about auditions and I thought, 'Why not just show up?'"